Back up's are a fundamental requirement of any small to medium business. Does my business have an organised, frequent and robust back up process? "I’m an experienced user but I’ve never learned anything about back up strategy or implementation"
"What’s the objective of backing up? What would be a good backup strategy? How would you implement it?" 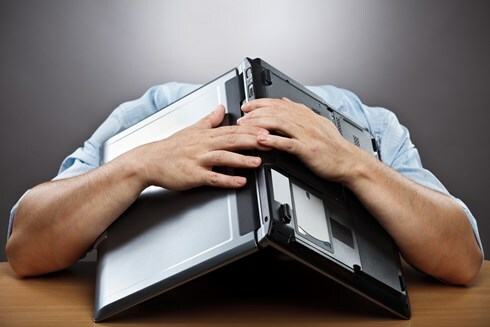 A recent example: Business IT Manager took a laptop in for repair – it had a Windows XP software problem – and got it back with a different hard drive: all his business data had gone. Hence Schofields second law of computing, which states that data doesn’t really exist unless you have at least two copies of it. The main problem is that most small businesses don’t make backups reliably, if ever..... they’re certainly important to businesses, and at 360ict our Managed Services can offer various packages. • 31% of PC users have lost all of their files due to events beyond their control. • 34% of companies fail to test their tape backups, and of those that do, 77% have found tape back-up failures. • 93% of companies that lost their datacentre for 10 days or more due to a disaster filed for bankruptcy within one year of the disaster. There are only two types of hard drives in this world; those that have failed, and those that will. The hard drive currently holding your business-critical data will, one day, stop working. It might be tomorrow, next year, or three years down the line; eventually though, it will stop. These data loss statistics aren’t scaremongering; they’re facts. But Data Backup and Disaster Recovery/Business Continuity Planning doesn’t need to be a mammoth and scary task, especially with the technologies available to you today. Your first step is to identify your essential data. That is, the information that your business couldn't function without. Normally this will comprise documents, photos, emails, contacts, and calendars, most of which are kept in just a few common folders on your computer, phone or tablet or network. Ransomware (and other malware) can often move to attached storage automatically, which means any such backup could also be infected, leaving you with no backup to recover from. 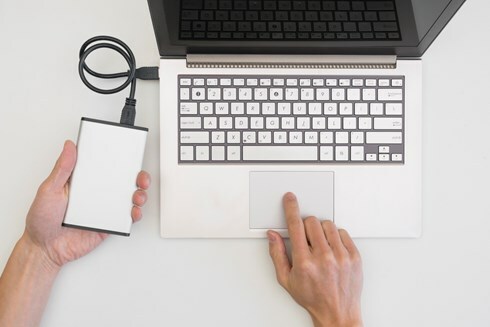 For more resilience, you should consider storing your backups in a different location, so fire or theft won't result in you losing both copies. Cloud storage solutions (see below) are a cost-effective and efficient way of achieving this. You've probably already used cloud storage during your everyday work and personal life without even knowing - unless you're running your own email server, your emails are already stored 'in the cloud'. Using cloud storage (where a service provider stores your data on their infrastructure) means your data is physically separate from your location. You'll also benefit from a high level of availability. Service providers can supply your organisation with data storage and web services without you needing to invest in expensive hardware up front. Most providers offer a limited amount of storage space for free, and larger storage capacity for minimal costs to small businesses. We know that backing up is not a very interesting thing to do (and there will always be more important tasks that you feel should take priority), but the majority of network or cloud storage solutions now allow you to make backups automatically. For instance, when new files of a certain type are saved to specified folders. Using automated backups not only saves time, but also ensures that you have the latest version of your files should you need them. Many off-the-shelf backup solutions are easy to set up, and are affordable considering the business-critical protection they offer. When choosing a solution, you'll also have to consider how much data you need to back up, and how quickly you need to be able to access the data following any incident.